Jim Bailey of Cushman & Wakefield’s Houston office represented Anadarko Petroleum in a major lease in Denver. 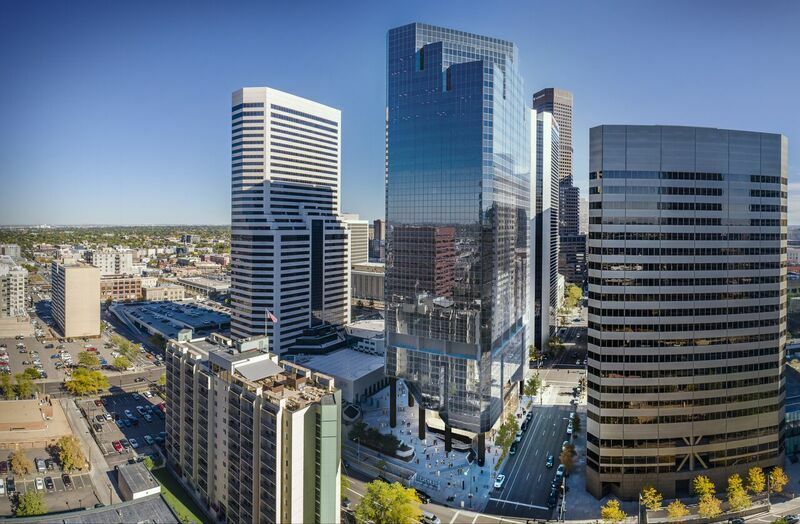 DENVER – (Realty News Report) – Anadarko Petroleum Corp. of Houston signed Denver’s biggest office lease in 2018, taking 300,000 SF in Granite Tower, a 31-story downtown tower. Jim Bailey, vice chairman for Cushman & Wakefield in Houston, represented Anadarko. Bailey said planned renovations by building owner KBS, would improve the tower significantly. “The commitment by KBS to make significant improvements and bring market responsive amenities to the building were very important considerations made by Anadarko in their decision to remain in Granite Tower,” said Bailey. Granite Tower is a 31-story, Class A office tower with 591,070 SF. The LEED Gold-certified property is located near Coors Field, home to the Colorado Rockies, and Union Station, a transportation hub surrounded by redeveloped historic buildings and dining and shopping options. KBS has significant renovations planned for Granite Tower. Construction is expected to begin in May 2019. Plans include a transparent architectural pavilion that will expand the main lobby and ground floor common area and support a new food and beverage operation extending to the upgraded outdoor gathering space. A new, 100-bicycle storage facility will be located adjacent to the expanded lobby with easy access to the building elevators. The capstone of the new improvements will be converting the entire third floor into a new amenity floor, which will feature an open lounge and outdoor deck overlooking downtown. The building will have a conference center and a new gym with group workout classes, Peloton bikes and locker rooms. KBS, based in Newport Beach, Calif., announced that 384,716 SF was leased in Granite Tower during the fourth quarter of 2018. Among these leases is a 12-year extension for 295,743 SF with Anadarko. Other new tenants at the property include Inflection Energy LLC, MountainView Financial and Causey Demgen & Moore P.C. Granite Tower is one of nine remaining properties in the KBS REIT II portfolio. In addition to Bailey’s representation of Anadarko, Robert Whittelsey and Chris Wiley of Colliers International represented Causey Demgen & Moore P.C. ; Mike Rooks and Tim Bourdelais with JLL represented Bankers’ Bank of the West; Lindsay Brown and Tom Lepry with JLL represented Inflection Energy; and Brian Hutt of Cushman & Wakefield represented MountainView Financial. Andy Ross and Jamie Roupp of JLL, and Nathan Johnson and Pete Staab with Newmark Knight Frank represented KBS in the transactions.